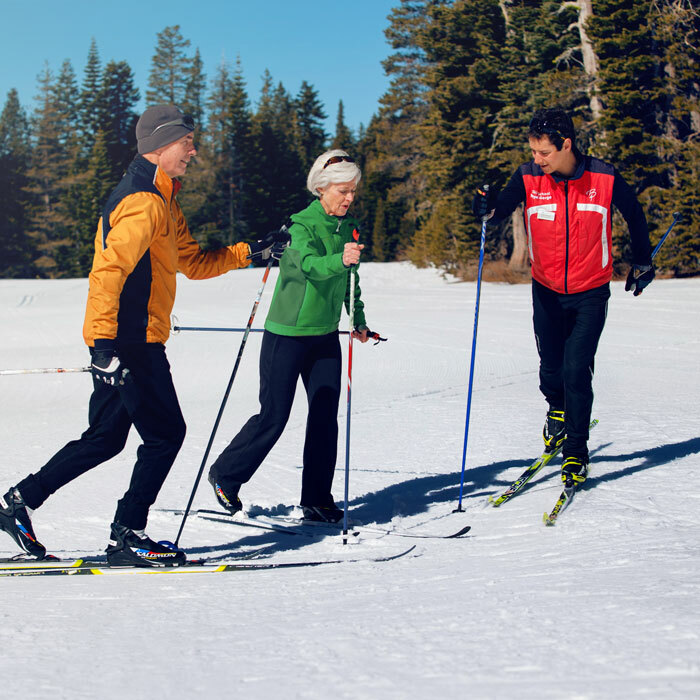 For first-timers and those with limited experience, Royal Gorge is the perfect place to learn to cross-country ski, skate ski or snowshoe or to improve your skills. Our friendly, experienced instructors and miles of beginner terrain will give you the ideal training ground to build and refine your skills. Take a group or private lesson, then tour Royal Gorge’s extensive beginner trail network on your own until your heart’s content. Trail options offer just the right amount of challenge to keep you interested without pushing you out of your comfort zone. You will need a trail pass to enjoy Royal Gorge. We offer packages which include rentals and also lessons if needed. If you have the gear and just want to hit the trails stop by and purchase a pass for the day. 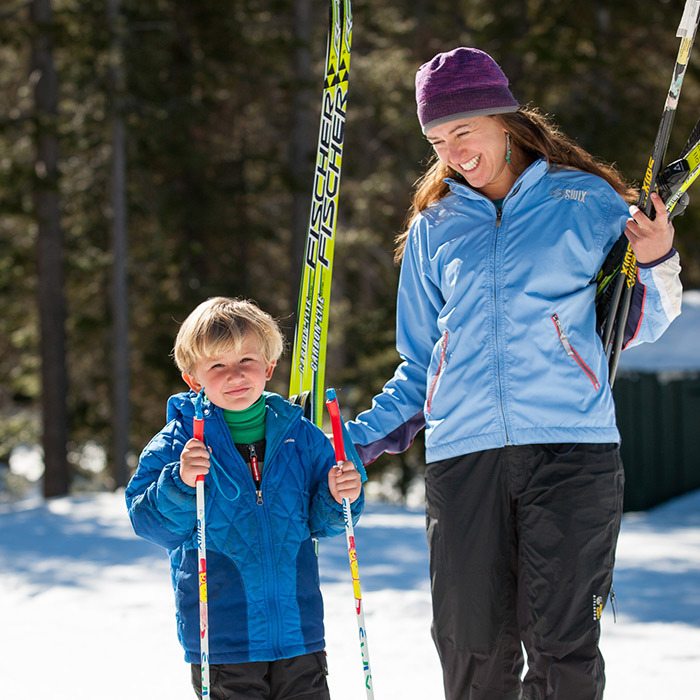 A full fleet of ski and snowshoe rentals are available at the Summit Station Lodge, ready for you to hit the trails. Other rentals and packages available. Skate skiing, also known as “skating,” is a newer method of cross-country skiing. When using skating technique, the skier pushes laterally, “skating” from ski to ski to move forward. 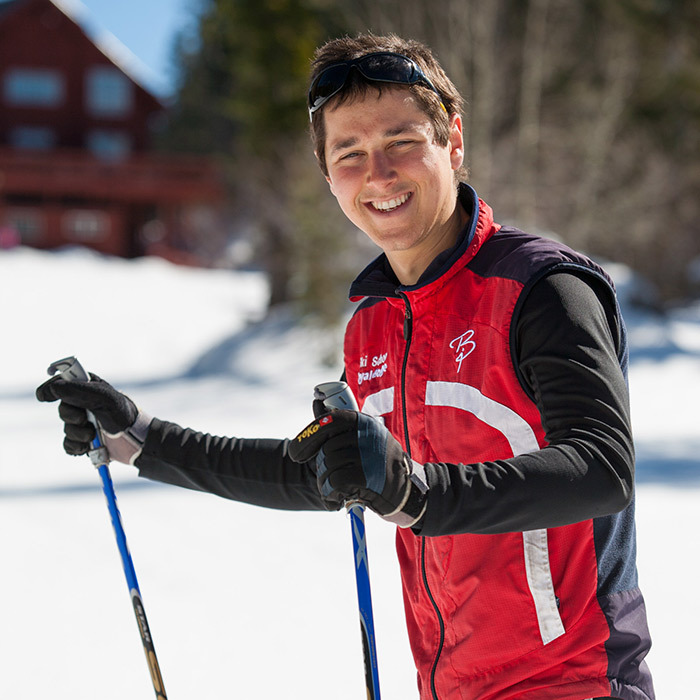 Also known as “striding,” the traditional style of cross-country skiing is referred to as “classic.” When using classic technique, the arms and legs and skis move straight in the direction of travel. Snowshoes work by providing a large surface area underfoot, allow users to "float" atop the snow. 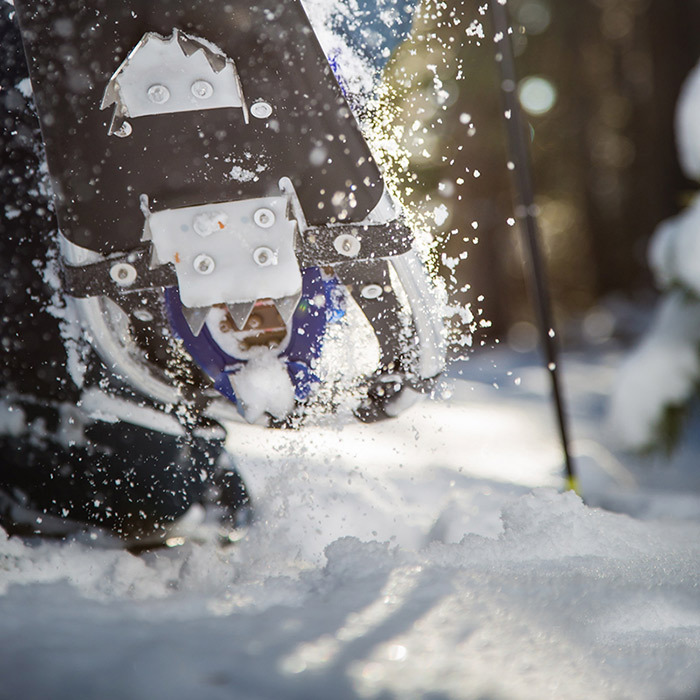 Snowshoes can connect via straps, to most waterproof winter boots making it very easy to get started. Little to no experience is needed to begin snowshoeing. Let one of Royal Gorge's top instructors get you started on the right now. 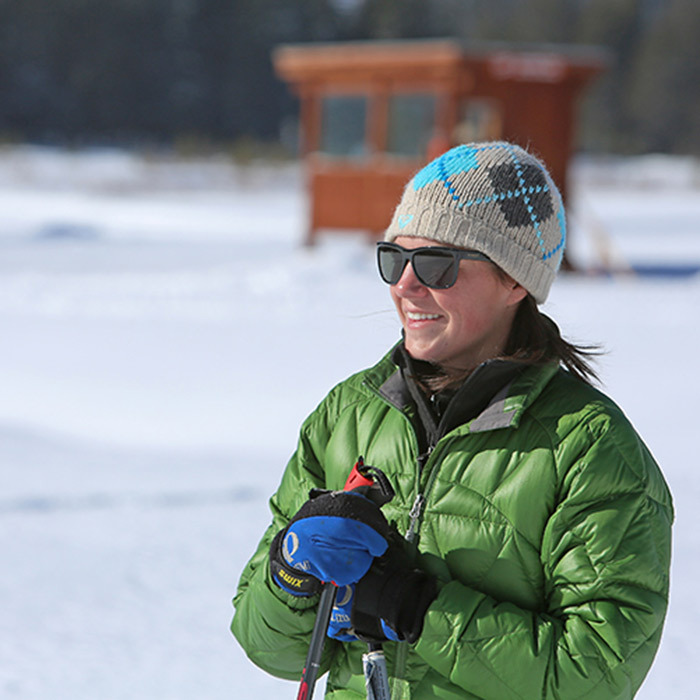 Lessons are a fun and helpful way to learn the techniques needed to learn cross country skiing. Includes trail pass, rentals and 2.5 hr lesson. Skate or stride lessons only. Lesson only and private lessons also available.